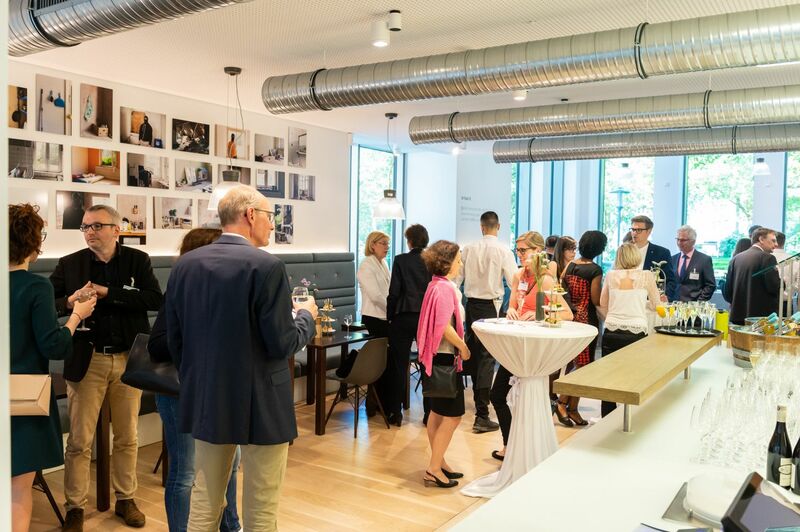 In this section you will find pictures of selected events. 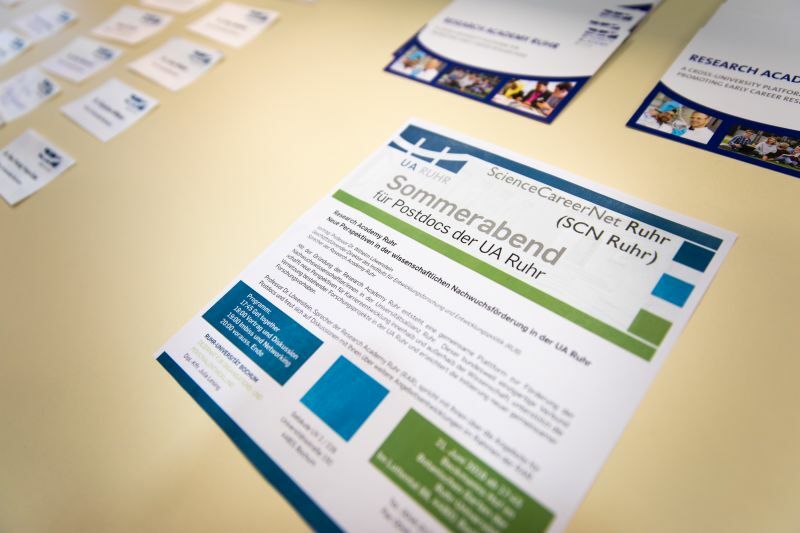 Please note: The passing on or use of the pictures without prior consent is not permitted. 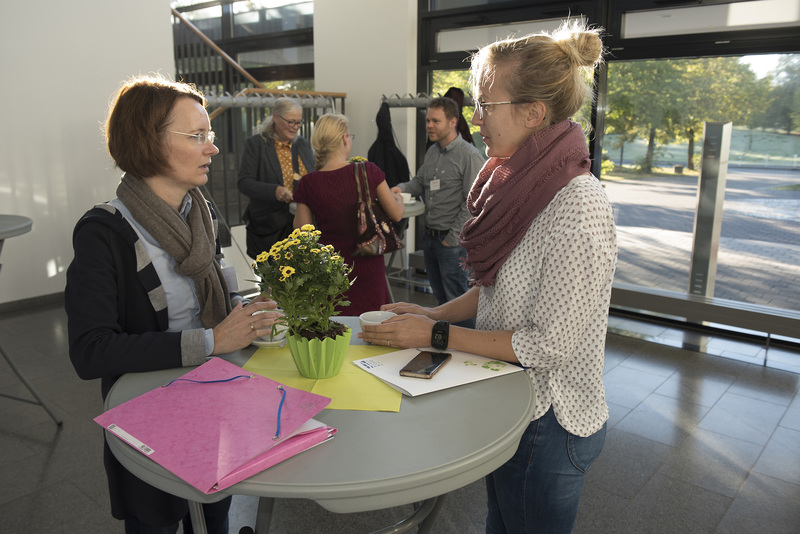 Please contact Anna Thelen by e-mail if you have any questions regarding the use of the images. 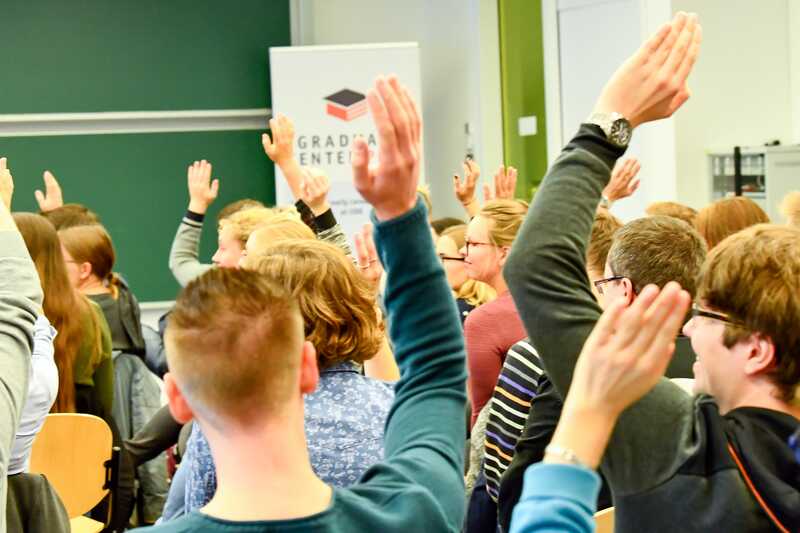 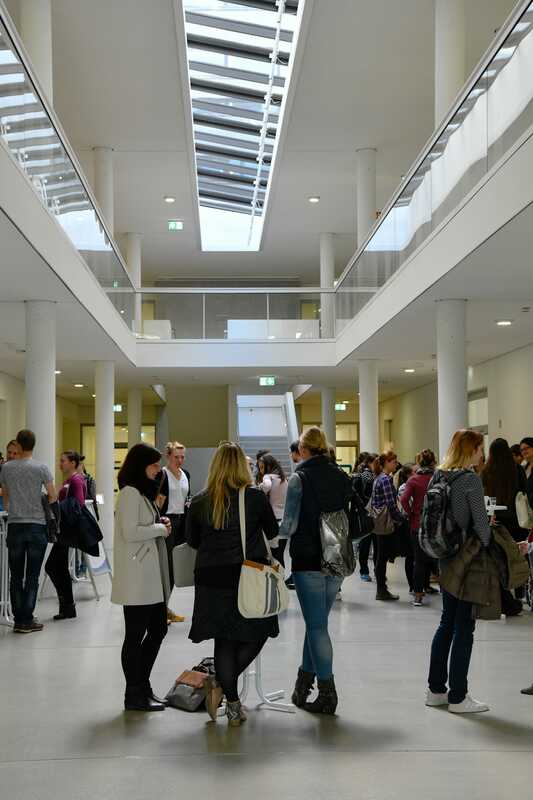 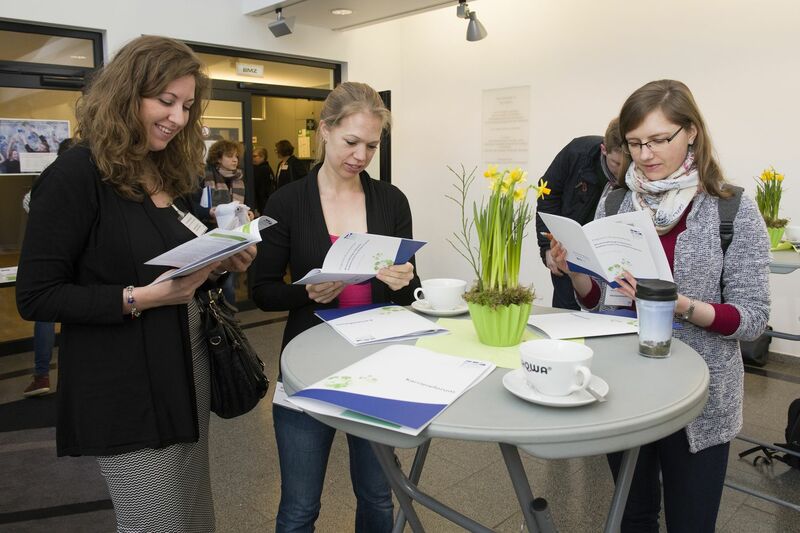 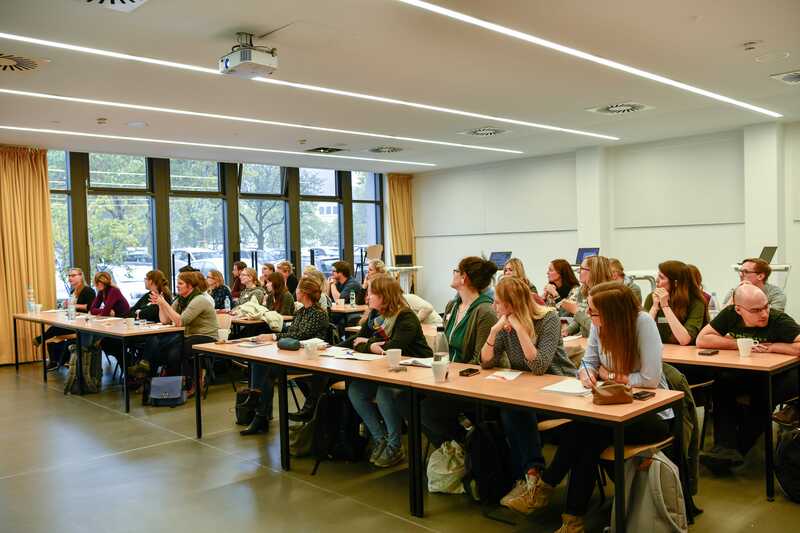 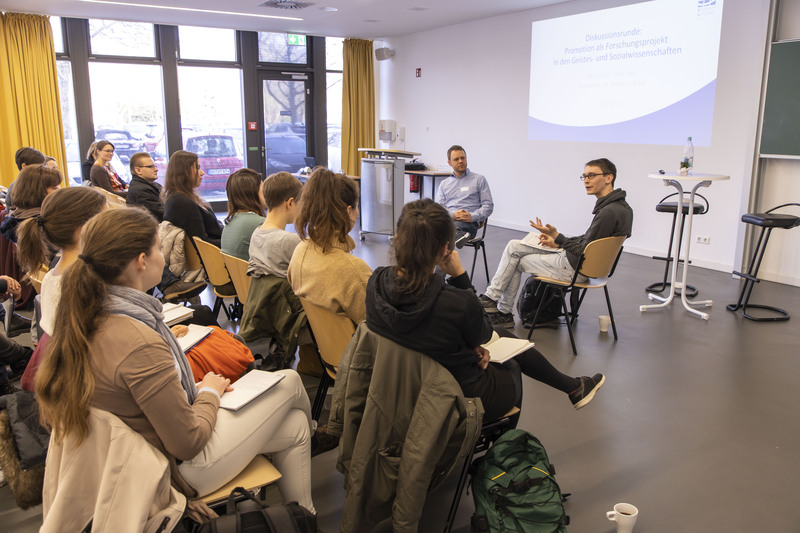 The Frühjahrsakademie at the University of Duisburg-Essen offered doctoral researchers and those interested in a doctorate experience reports and workshops for a good start to their doctoral studies. 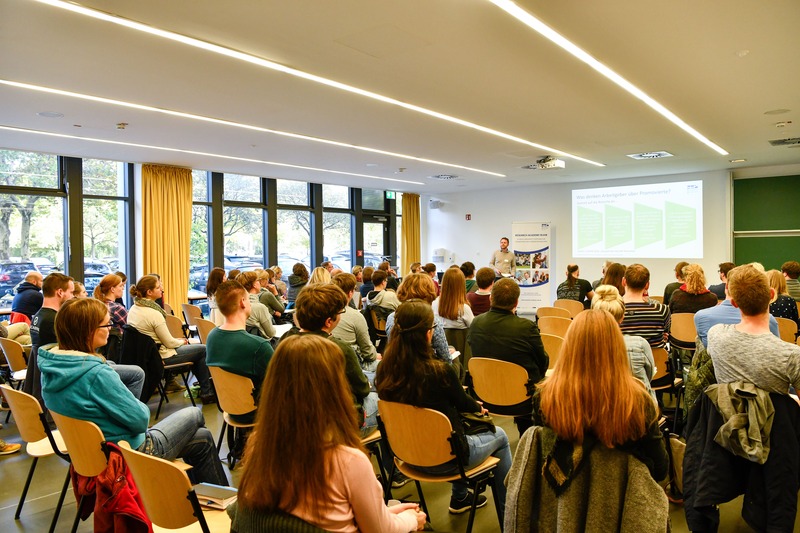 The well-attended 18th Karriereforum at the TU Dortmund University offered postdoctoral researchers from the UA Ruhr universities an informative program on "Academic Careers from Multiple Perspectives". 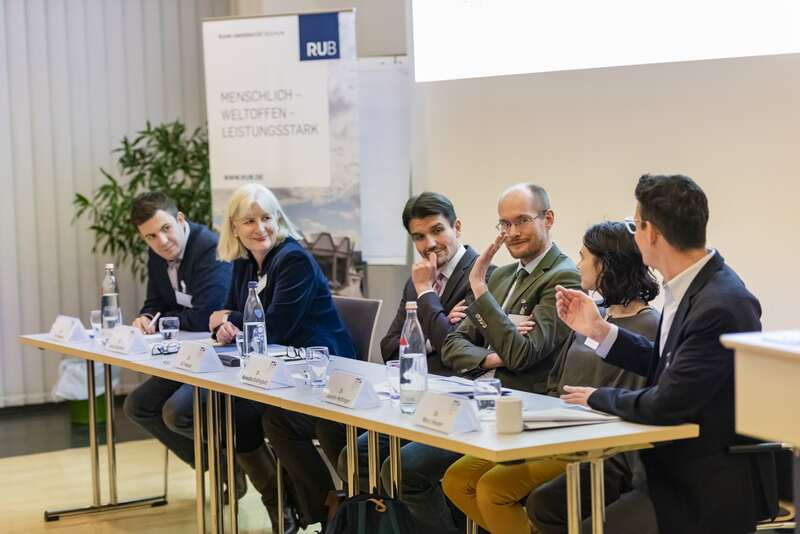 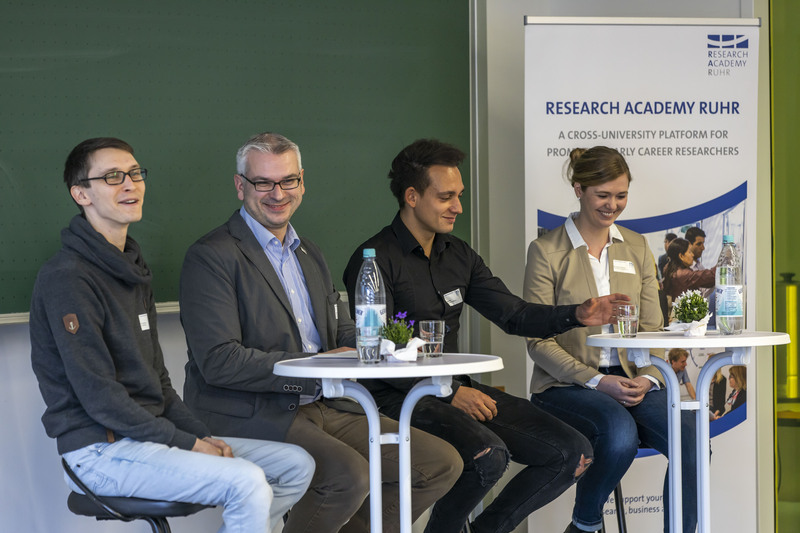 The Wirtschaftskolleg at the Ruhr-Universität Bochum offered UA Ruhr's early career researchers the opportunity to get in touch with alumni and representatives from business and society and to discuss questions about career planning after their doctorate. 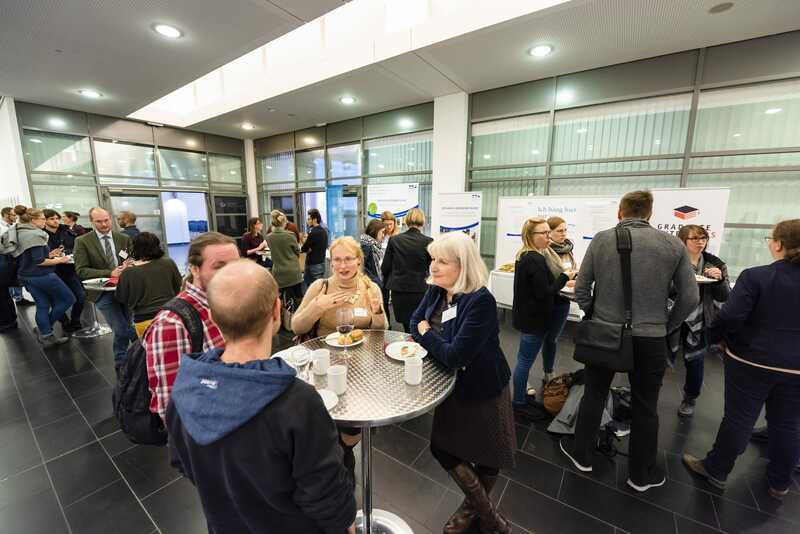 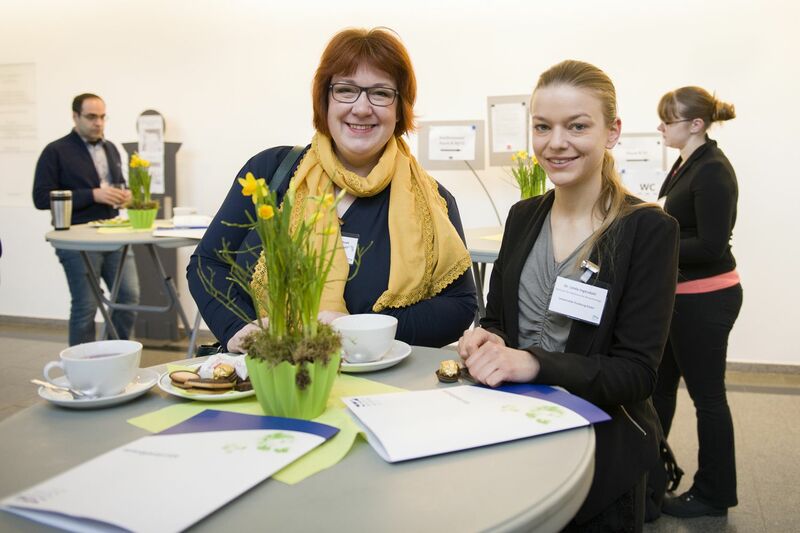 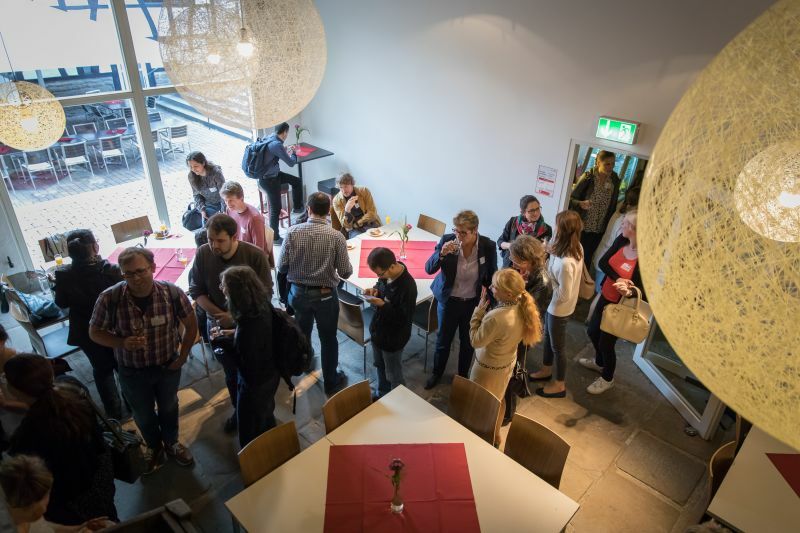 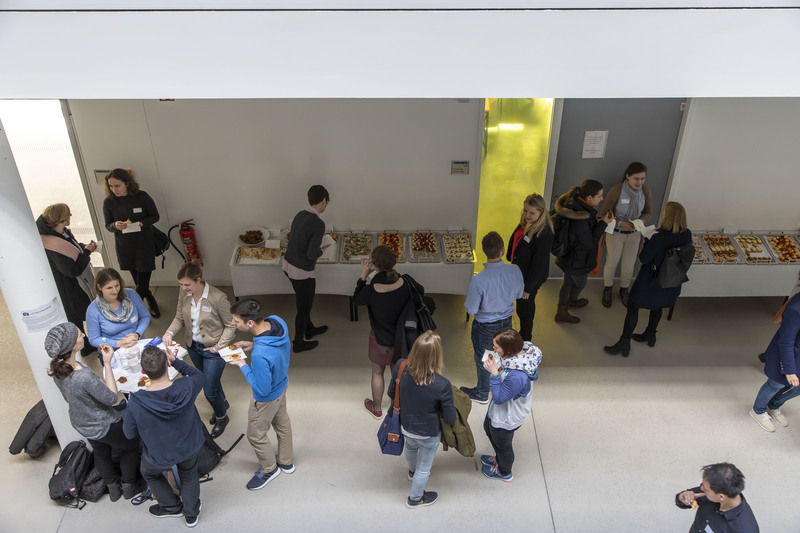 25 October 2018: KoWi Event "Research in Europe"
During the one-day event at the event centre of the Ruhr-Universität Bochum, more than 200 early career researchers informed themselves about national and European funding opportunities. 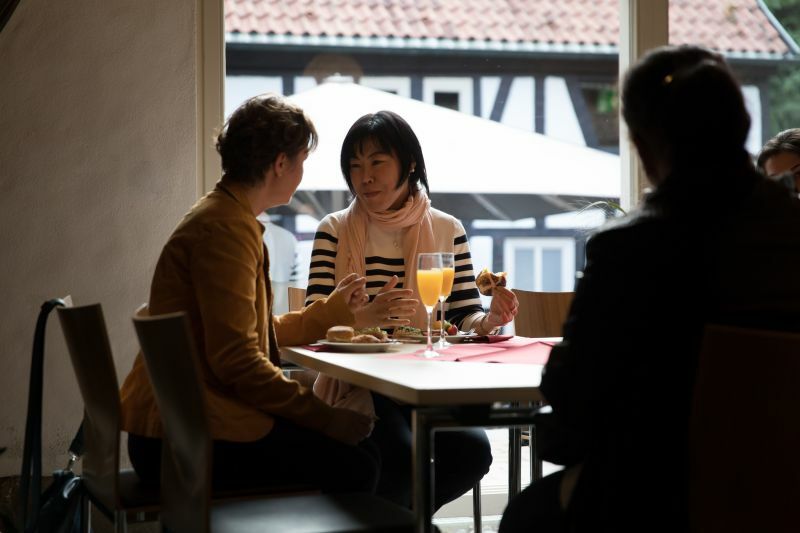 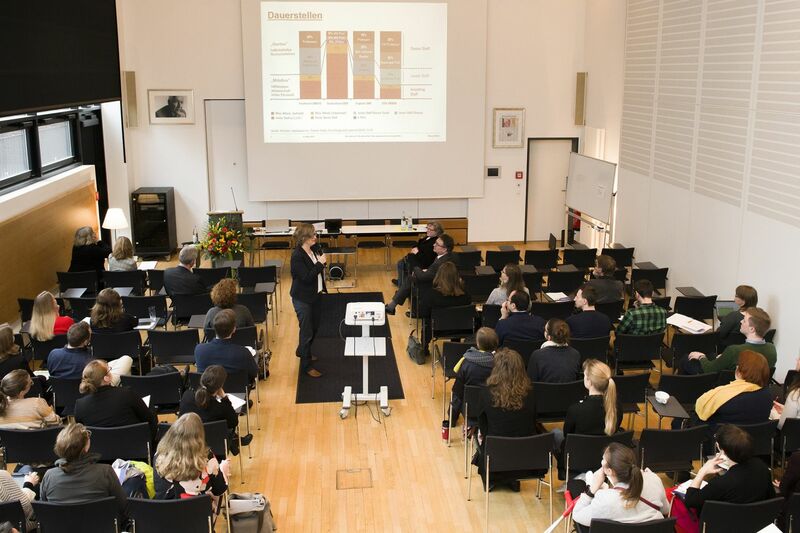 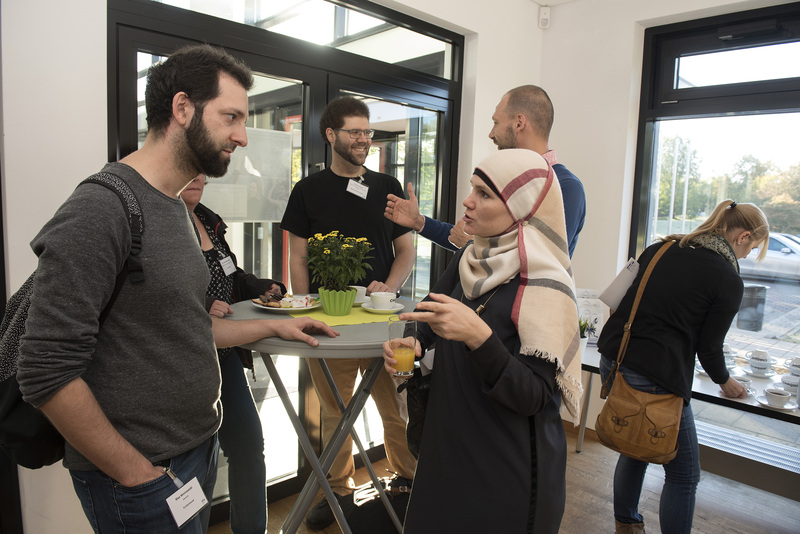 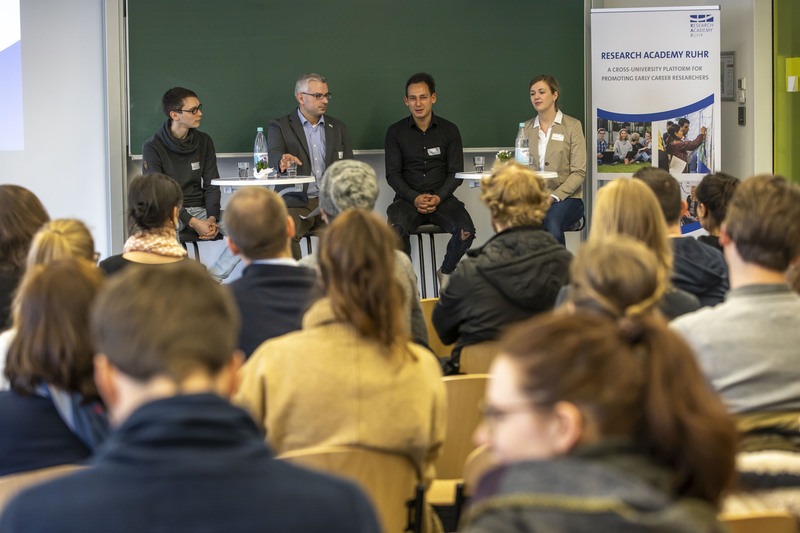 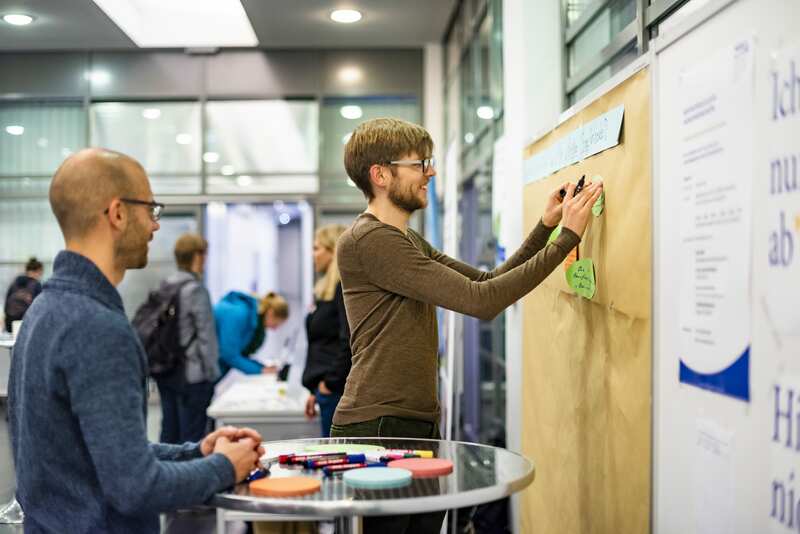 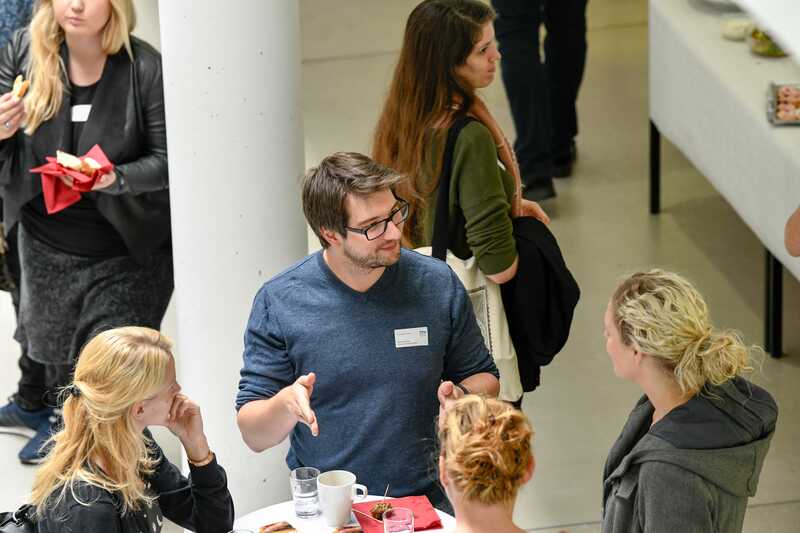 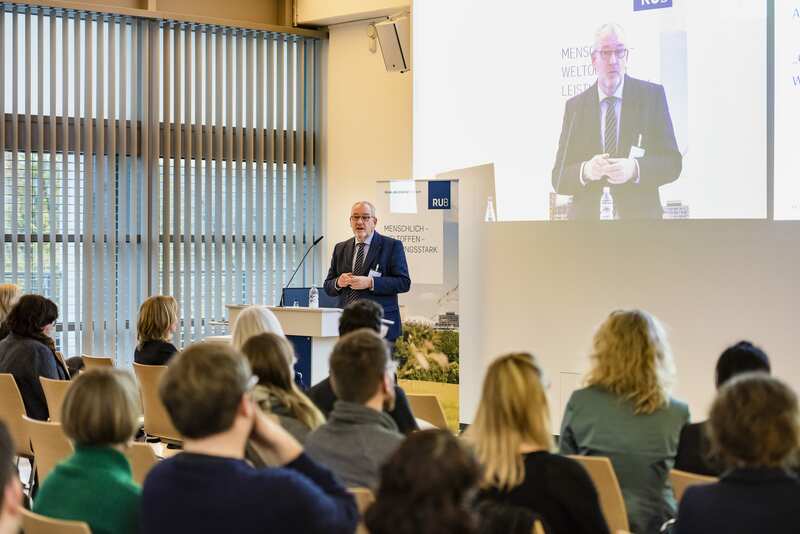 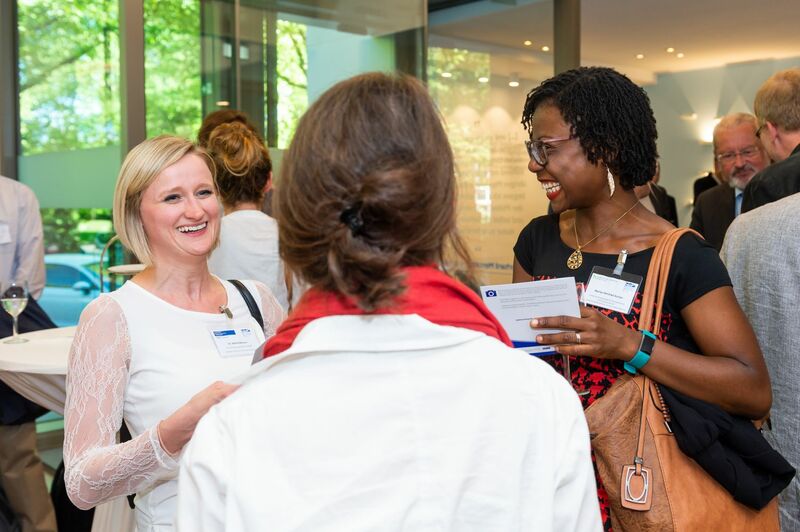 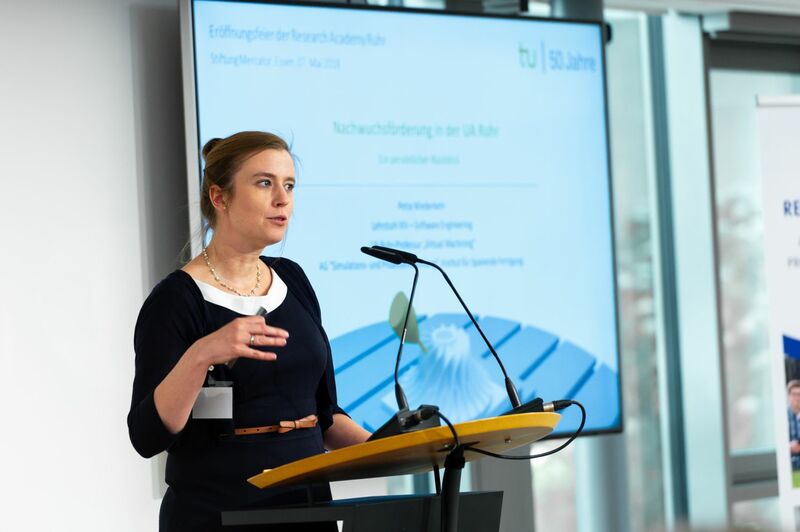 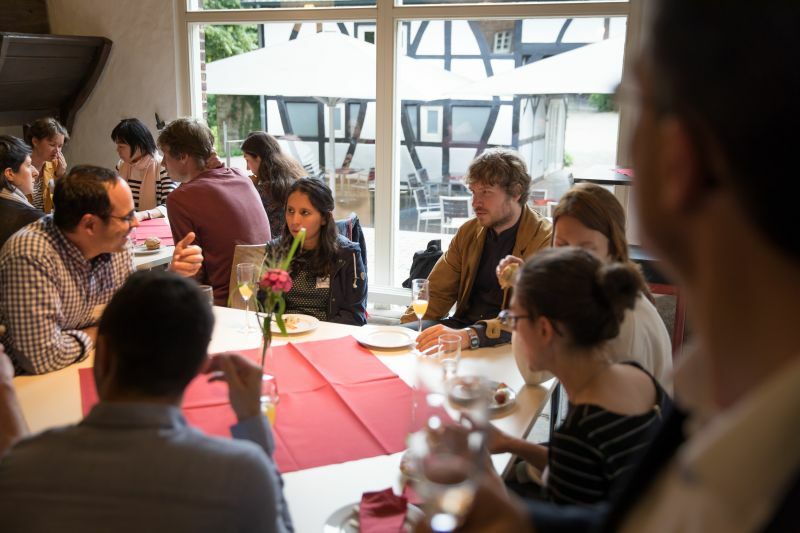 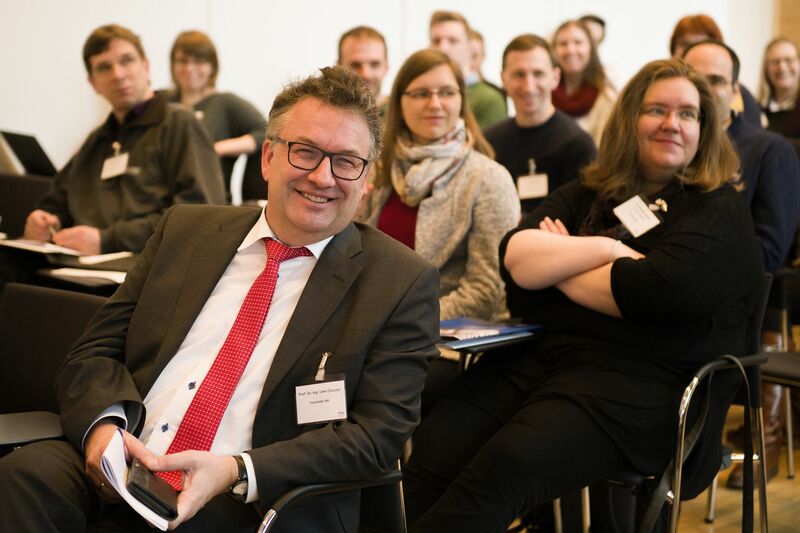 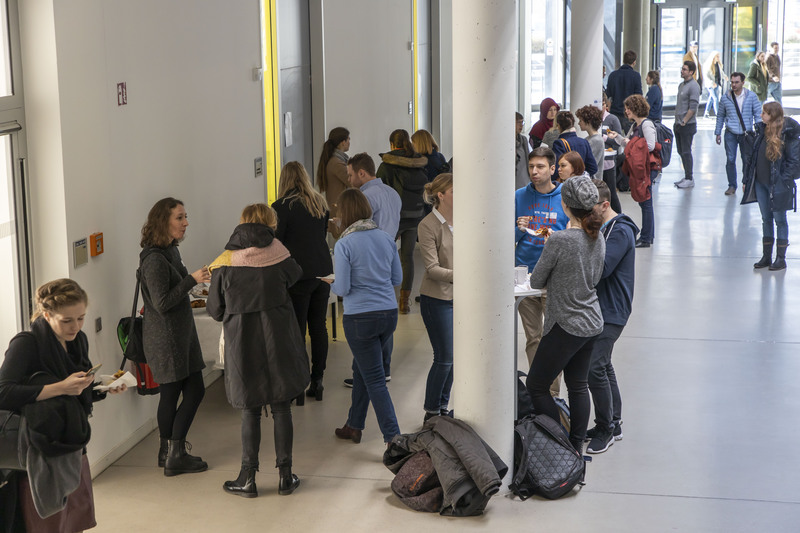 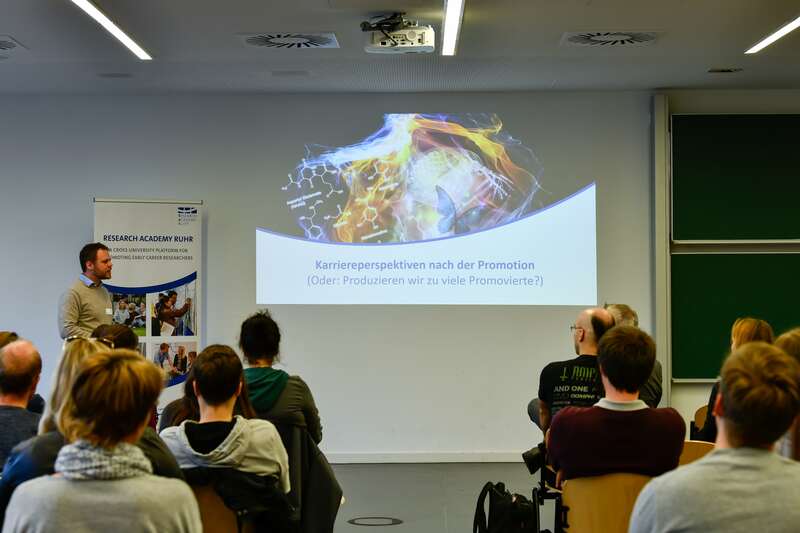 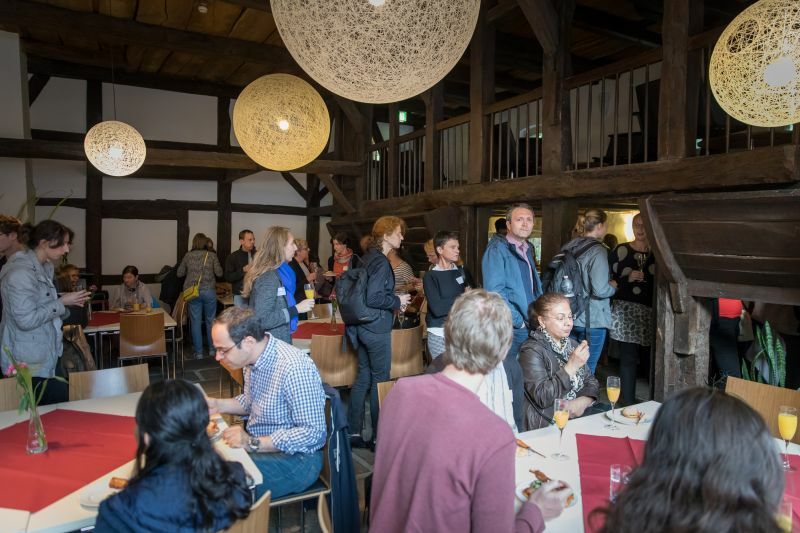 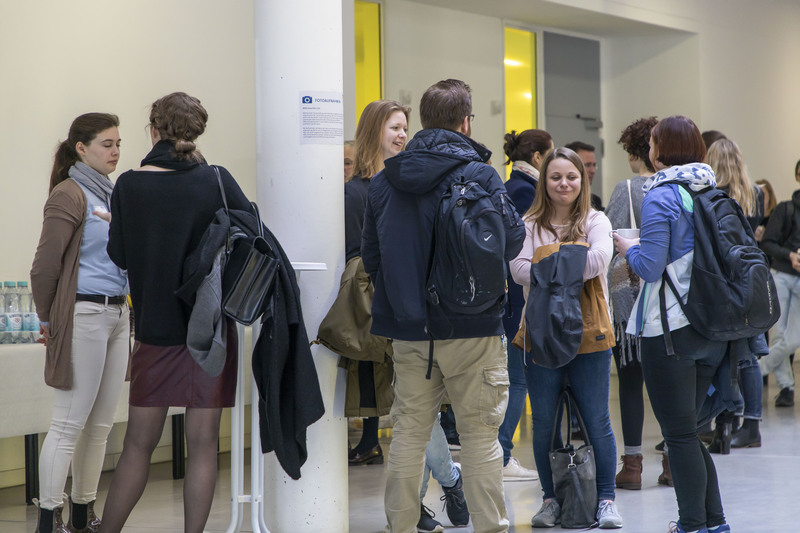 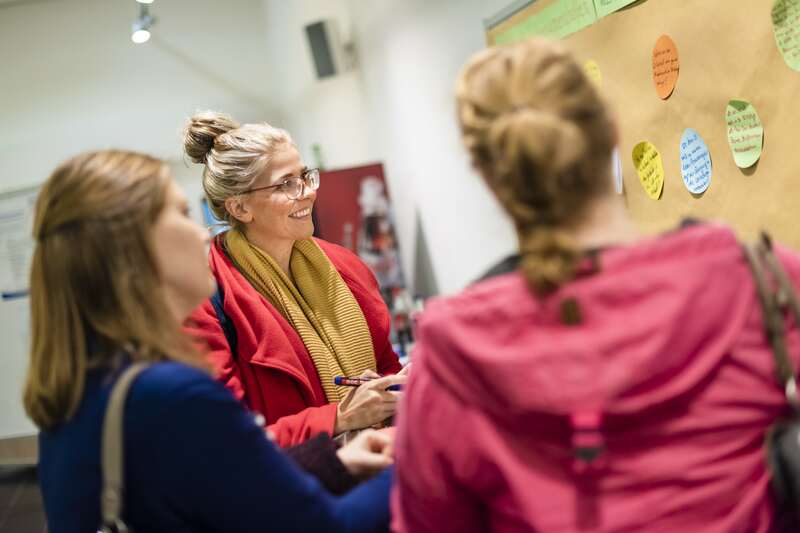 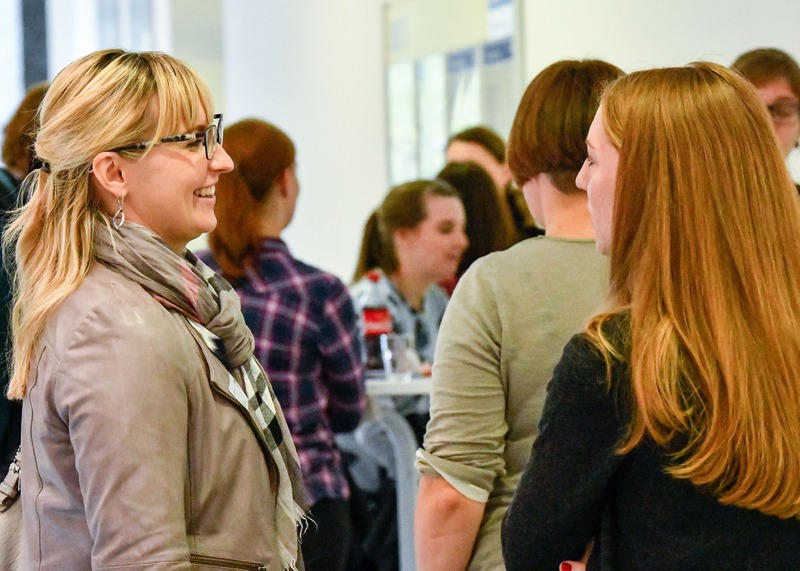 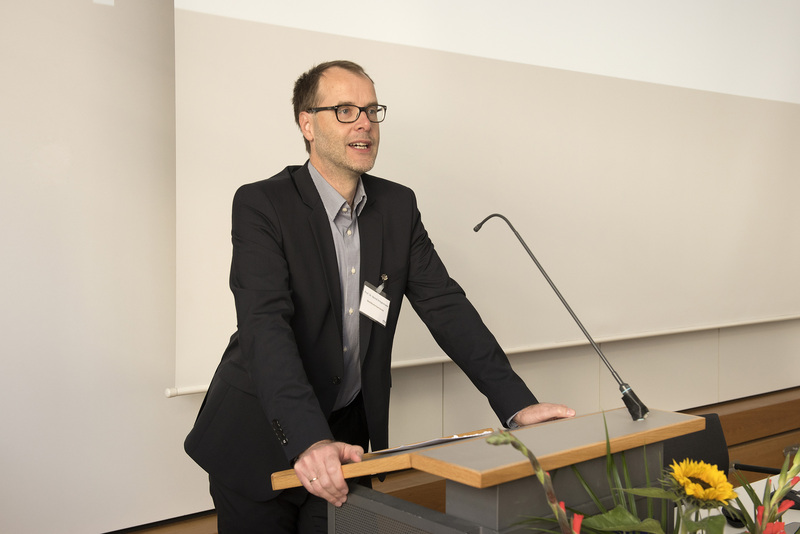 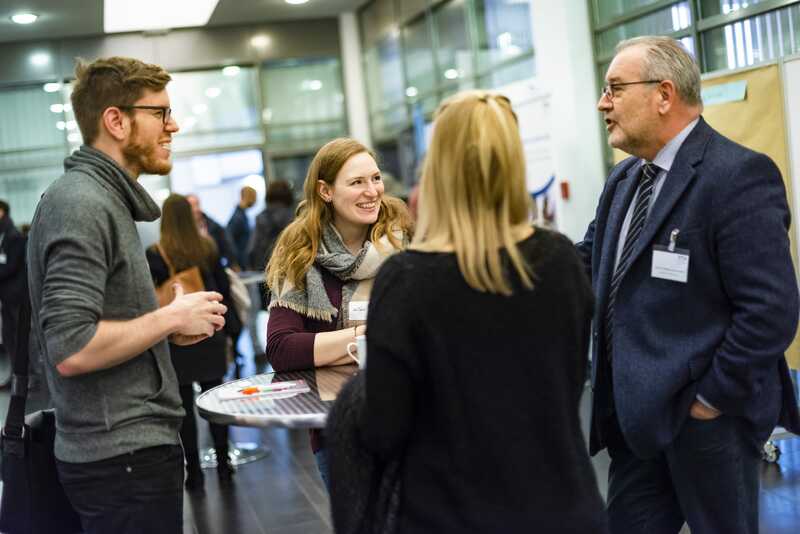 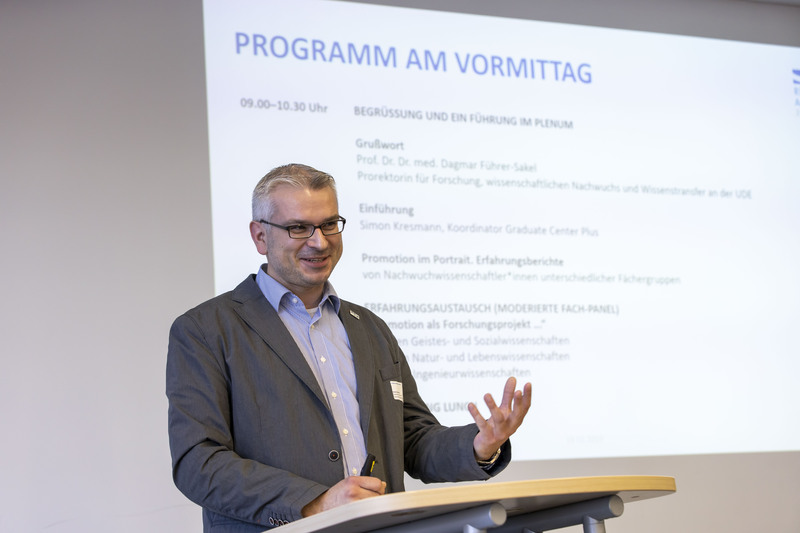 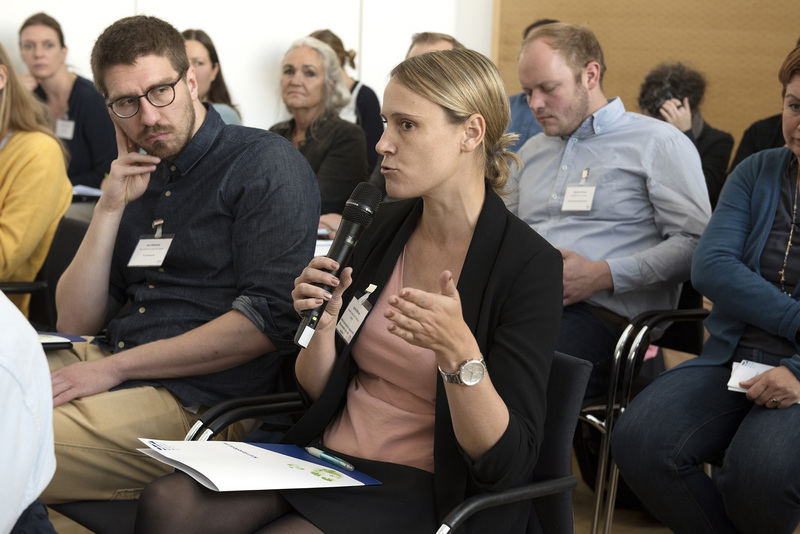 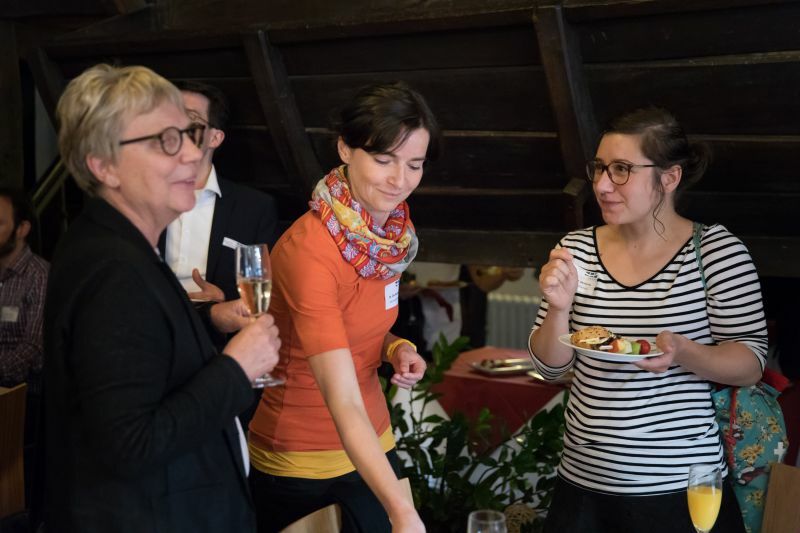 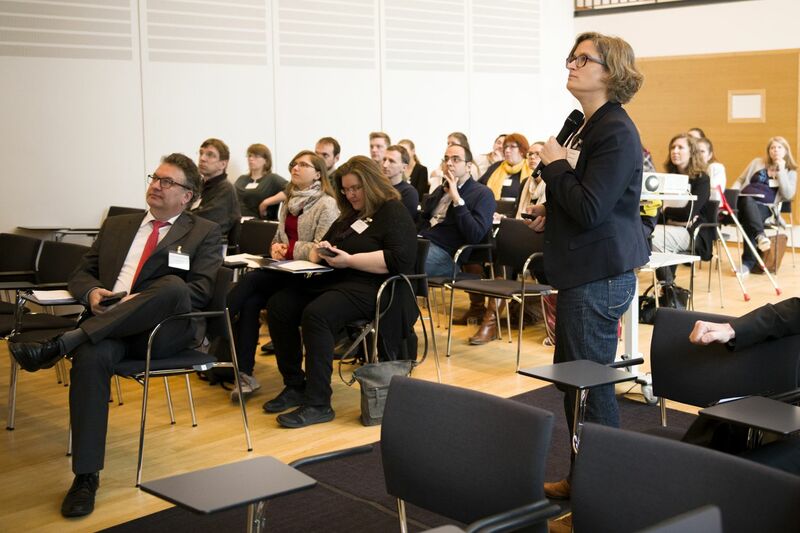 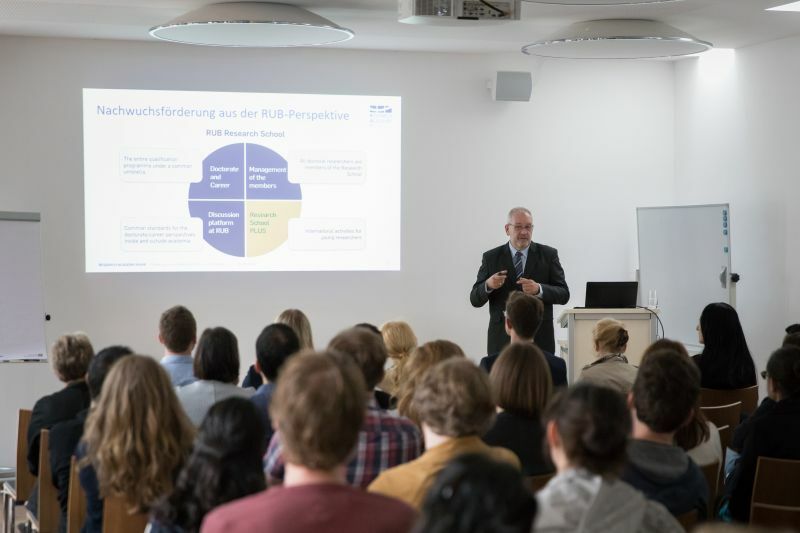 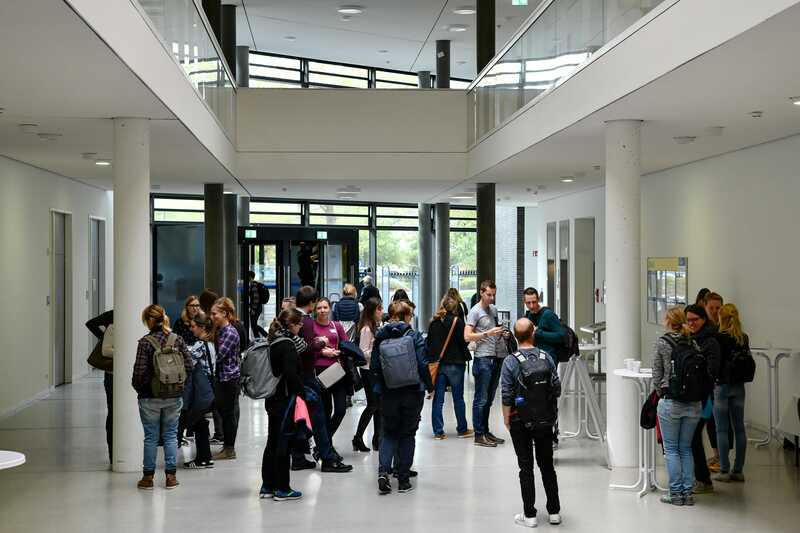 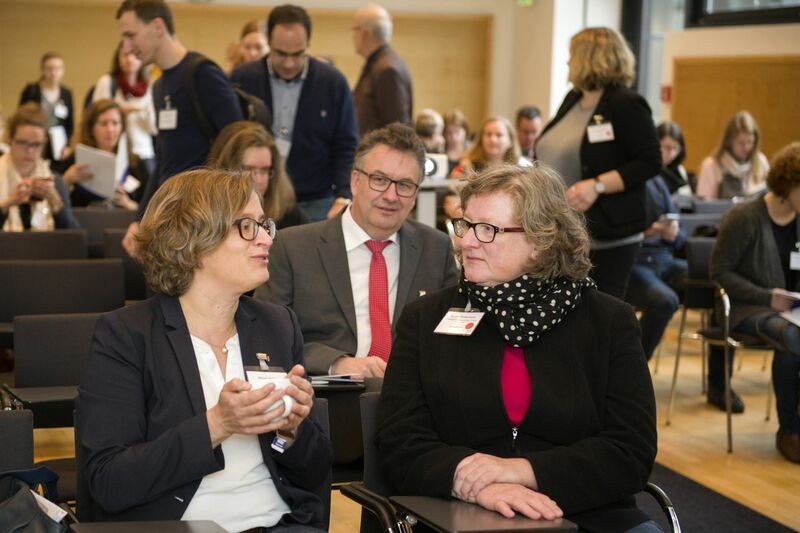 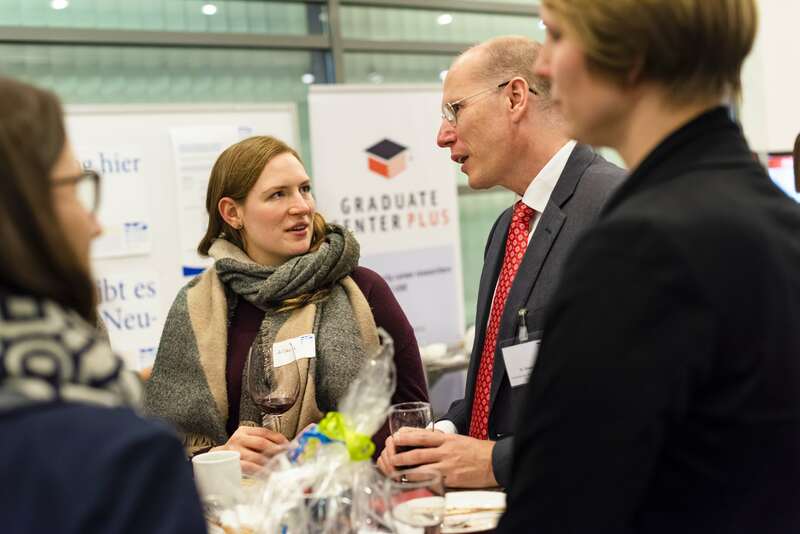 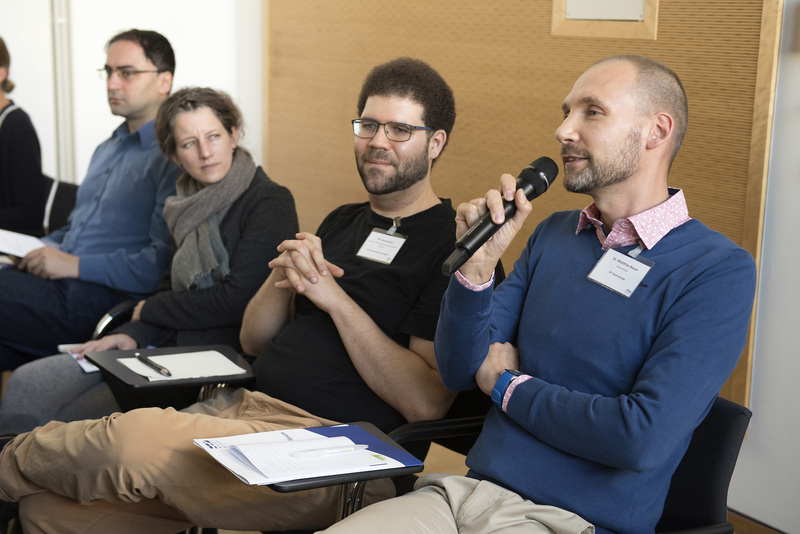 The Karriereforum at the TU Dortmund University offered postdoctoral researchers the opportunity to discuss the career goal of a professorship at universities of Applied Sciences with experts and to exchange experiences. 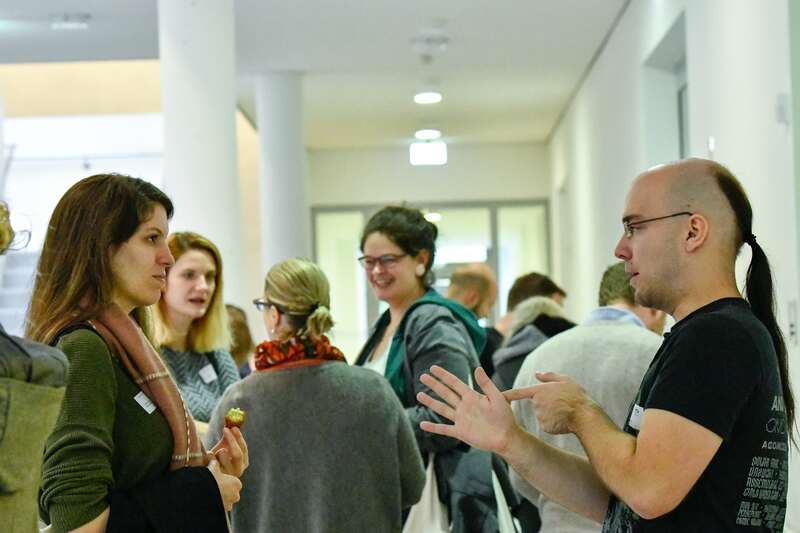 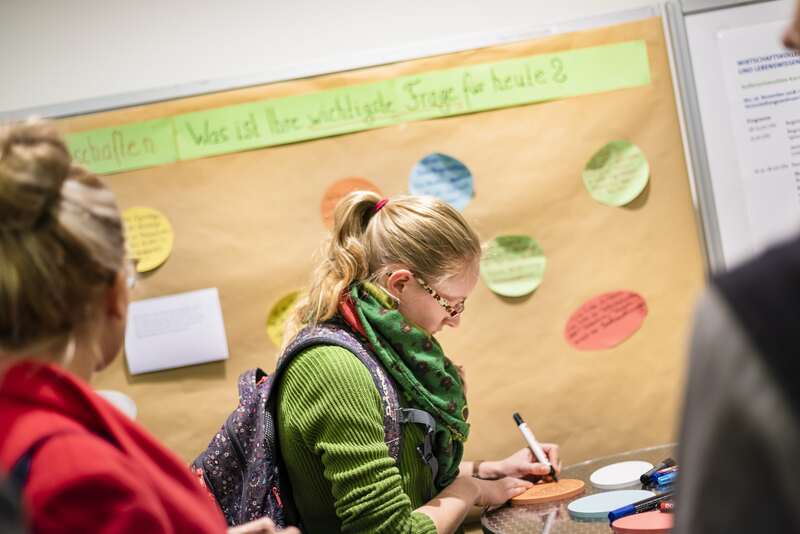 During the Herbstakademie at the University of Duisburg-Essen, doctoral students were invited to participate in various interesting workshops on competence development. 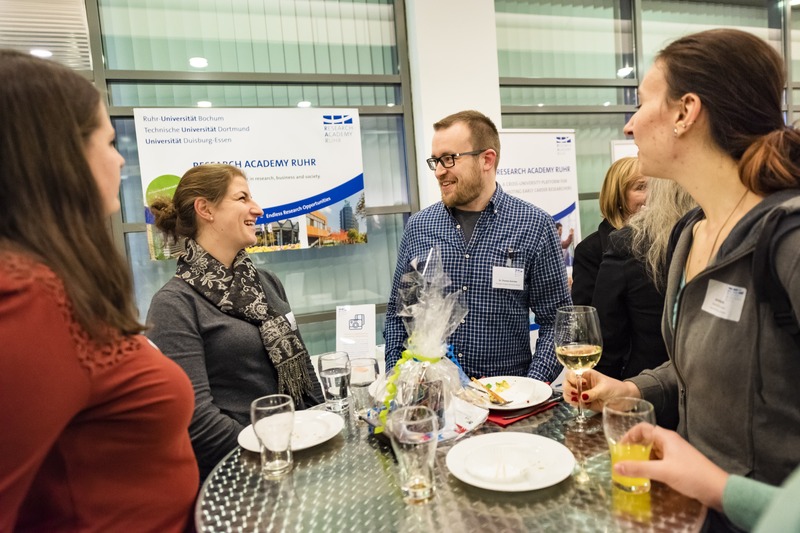 Postdoctoral researchers from the UA Ruhr met at the Ruhr-Universität Bochum to network and exchange experiences in a relaxed atmosphere. 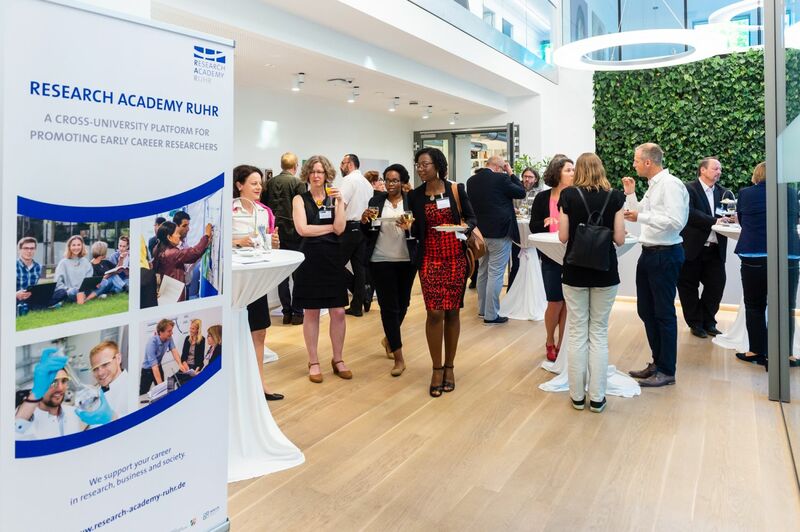 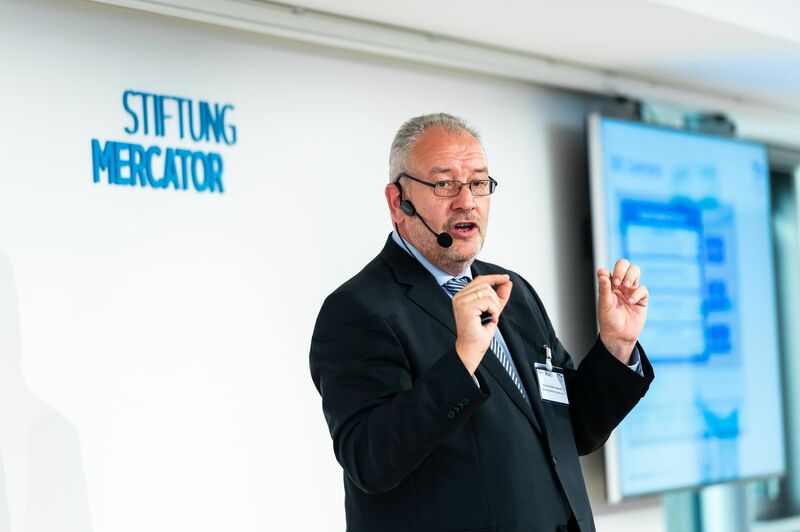 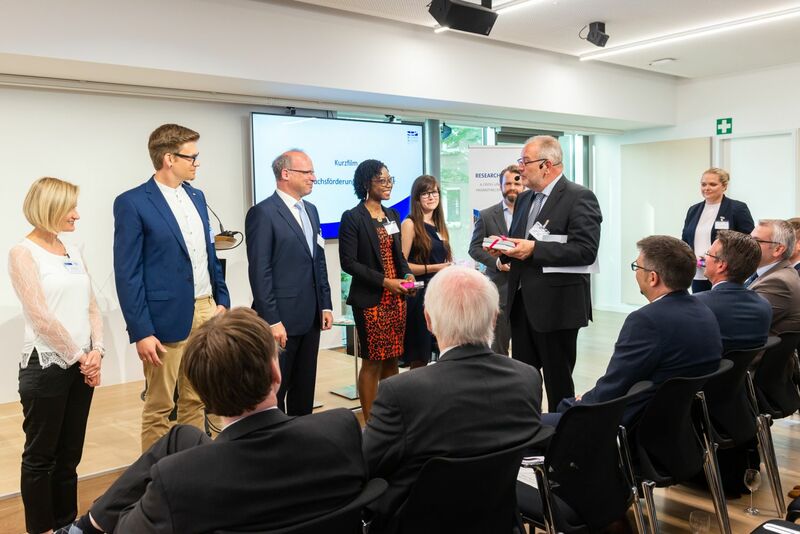 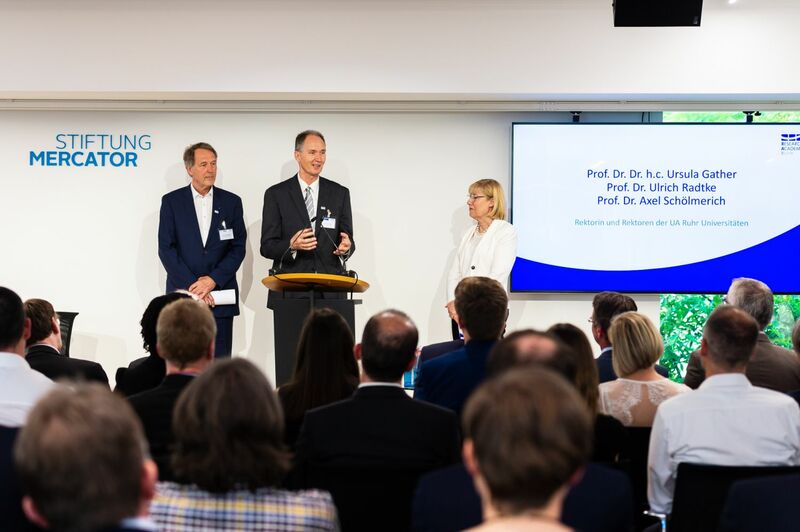 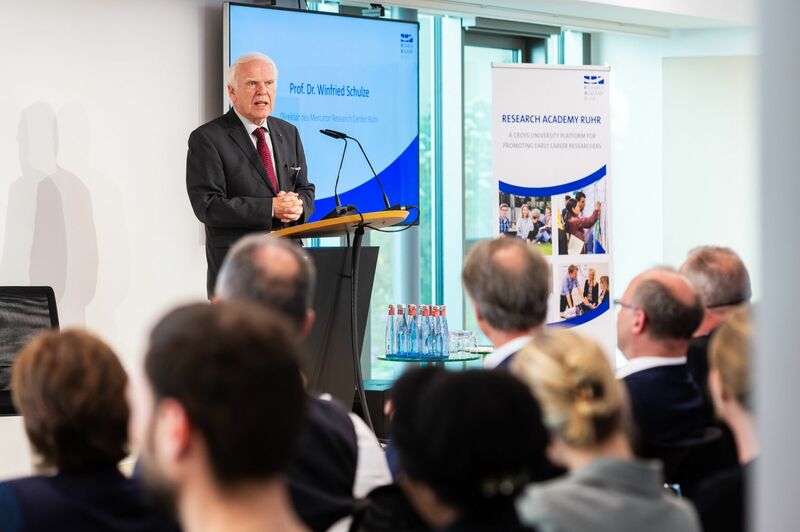 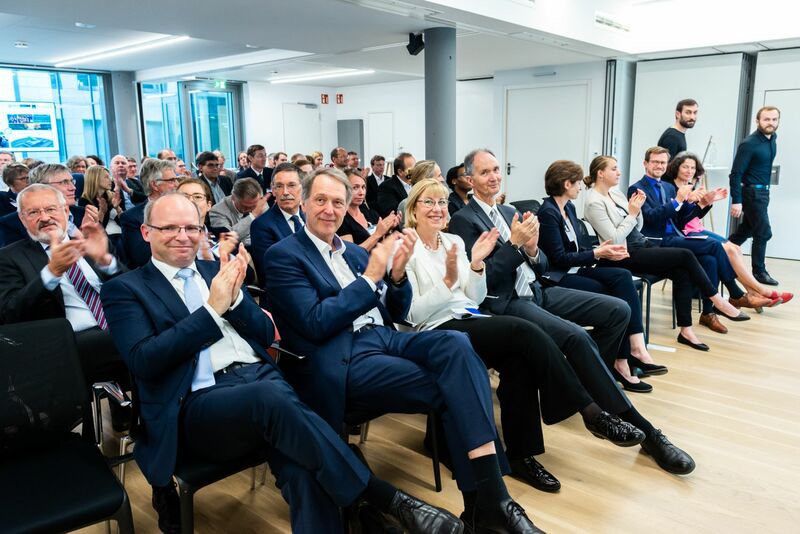 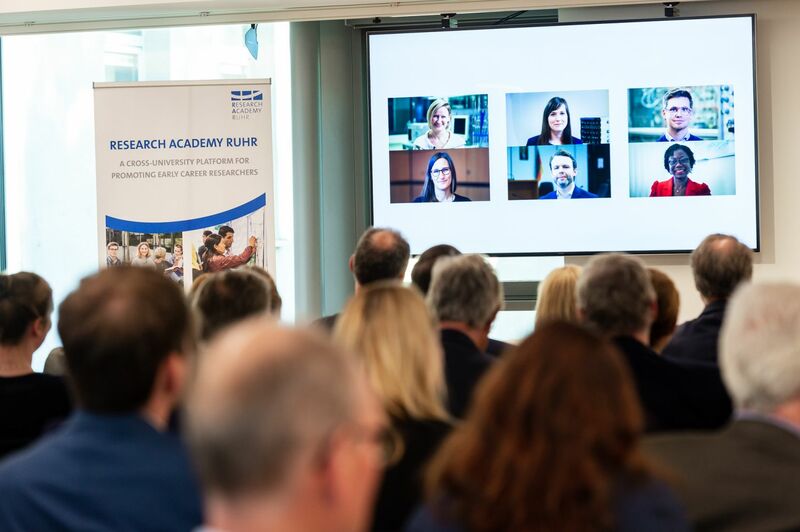 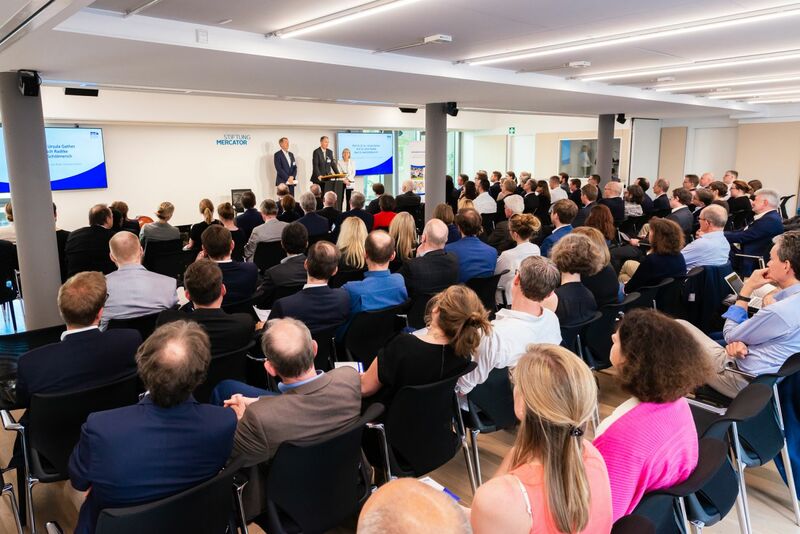 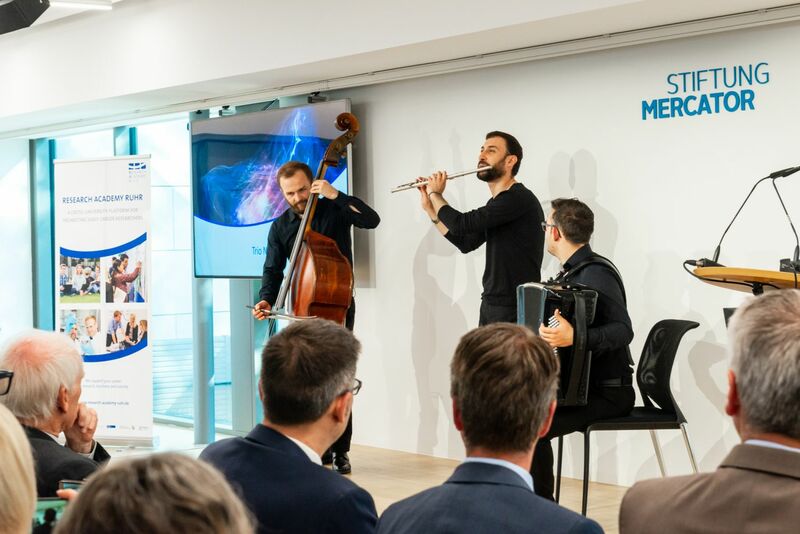 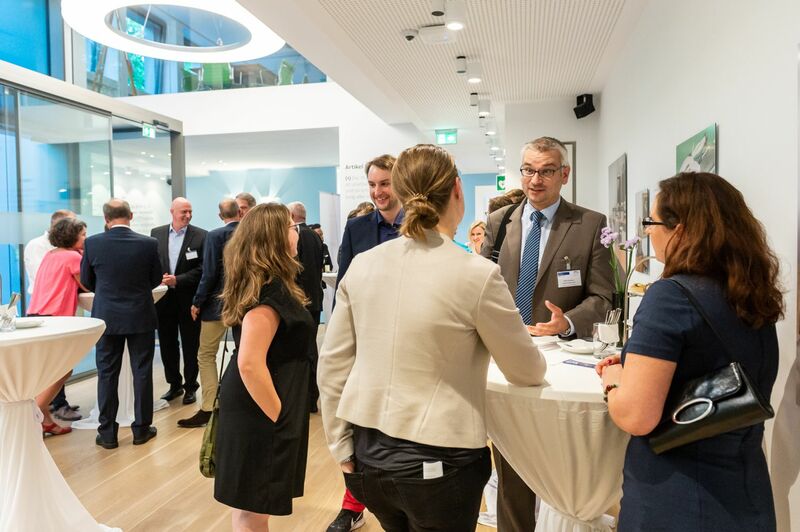 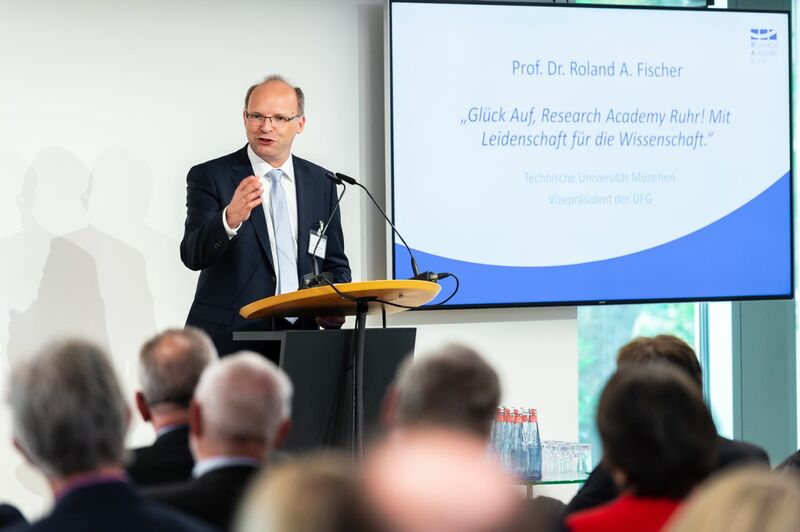 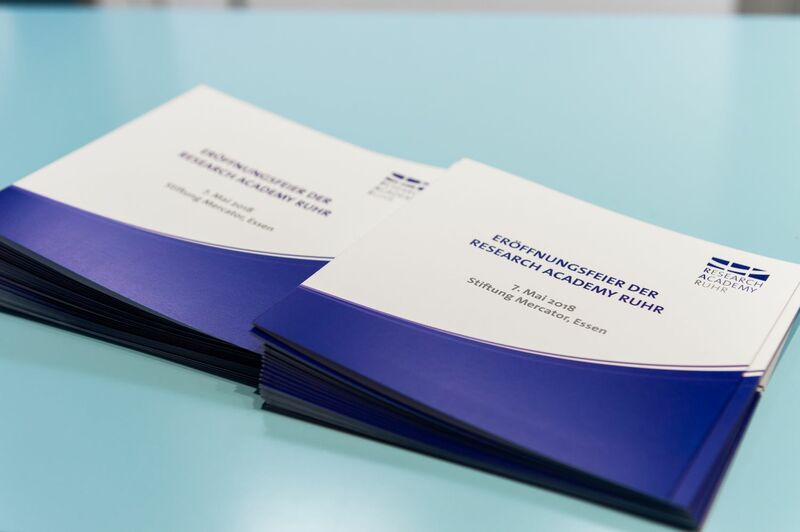 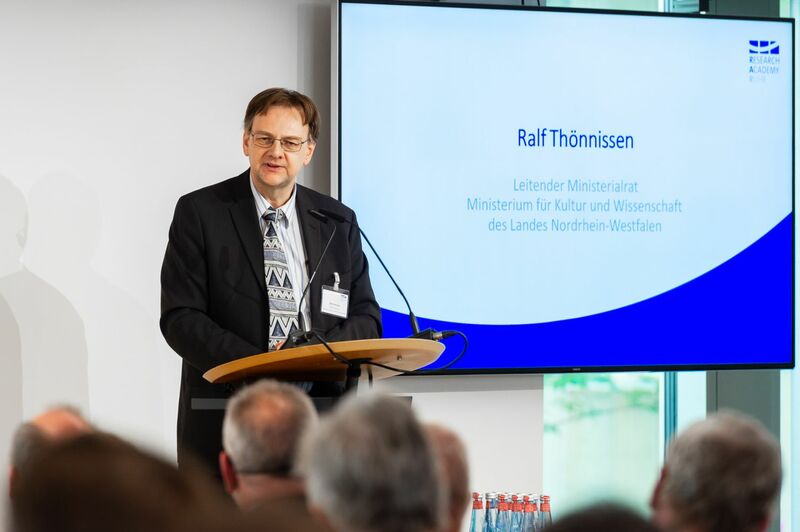 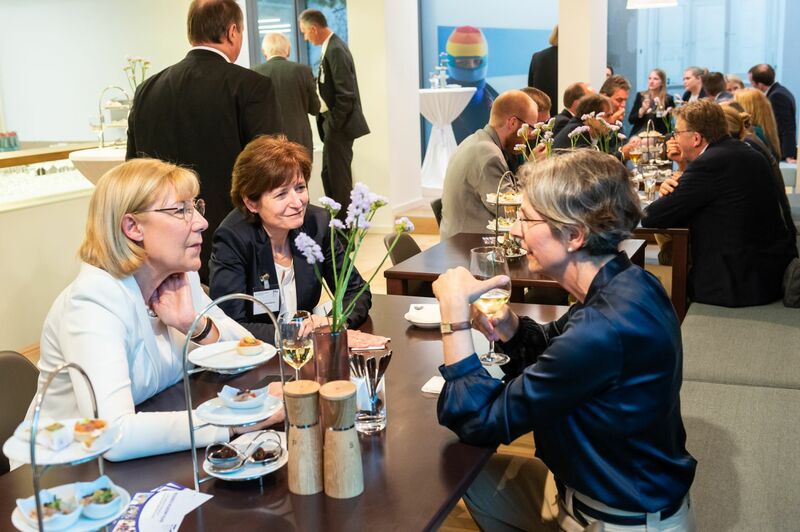 On 8 May 2018, Research Academy Ruhr was ceremoniously opened at the premises of the Stiftung Mercator in front of invited guests of the University Alliance Ruhr.